I have mixed feelings about moving back to Jacmel in June. One the one hand I will be out of crowded Port au Prince and back serving the rural poor of Haiti. But on the other hand I am leaving the families I have been working with for medical visas with Angel Missions Haiti. Leaving a mission who really operates with a servant, sacrificial heart. It will not be easy to leave the family of Angel Missions. It is so nice to leave a job on good terms and with everyone supportive of the other's ministry. Invest Hope will gladly continue to partner with Angel Missions. Angel Missions Haiti has two job openings here in Haiti. Angel Missions Haiti (AMH) is a Christian non-profit mission whose headquarters is in Port au Prince, Haiti. AMH is currently looking for a Registered Nurse or a Licensed Practical Nurse for the position of Medical Visa Director. This position requires the applicant to raise their own support for salary. The other job is a new position as a preschool teacher in a newly started mission school out in the country. 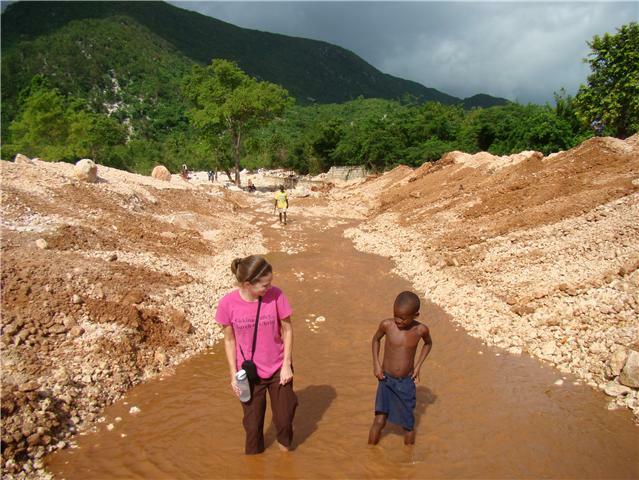 AMH has an exciting opportunity for service in a Christian mission at their mission site in Jolivert, Haiti. We are currently seeking an individual to help start and teach at our preschool in the village of Jolivert, south of Port de Paix. This remote village does not yet have a school and this is a great opportunity to provide Christian education to the Haitian children who live there. The school with be taught in English and Haitian Creole. The first school year will begin in Fall, 2012 with one preschool class. There will be a Haitian teacher and aide in the class. · Room and some board provided. · Emergency evacuation insurance provided.